Film technologists so far have focused on disrupting production technology. That's a start, but it won't be enough. 2. Film technologists are focusing on all the wrong areas. Film technologists naturally gravitate towards production. This makes sense: production where the action is. On my first-ever set gig, I wanted to be as close to that action as possible. 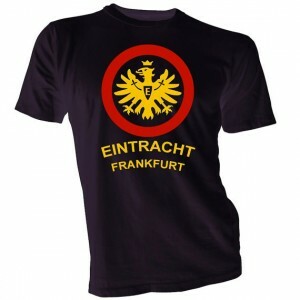 So I ingratiated myself to the all-German film crew by wearing the same soccer T-shirt to set for 3 or 4 days in a row. By week two, I’d graduated from Location Intern to Camera PA.
At that point I also put on a fresh shirt. Production tech is also where many of the most challenging problems lie. Things like image compression, camera colorimetry, and HDR color space encoding are still very much live, difficult, and interesting fields. You can build careers there. But—as I never tire of pointing out—15 years of disrupting production technology has also failed to make any significant changes to the film business itself. Final Cut Pro didn’t disrupt film, it disrupted NLEs. The DVX-100 didn’t disrupt film, it started the disruption of cameras. And LED lighting panels may be disruptive if you’re an electrician, but they have not unseated any major studios so far. NLEs, cameras, Israeli Arms, cool control panels, C-stands, and compression algorithms are all individual pieces of the massive supply chain feeding our actual end product: content. You know, movies and TV shows and stuff. But those of us who live and breathe production tech keep losing this plot. We confuse our little pieces of the supply chain with the end product itself. But this happens to precisely illustrate my point. The film VFX industry is widely seen as beleaguered and exploited by an effective monopsony. (The studio system, taken as a whole, being the sole buyer in the market.) This reality underscores the premise that technology innovation notwithstanding, the film industry’s underlying power structures have so far not been shaken. But there is some movement in this area. Slated, The Black List, and Seed & Spark are re-thinking the idea of development in the connected age. And the distribution space is a crowded and noisy one, with Vimeo’s acquisition of VHX just one of the latest examples. As long as we stay focused on tricking out our gear, no matter how fun and exciting that may be, we’ll be doing nothing to change the underlying economics of visual storytelling. It’s time for film technologists to aim higher.